Do you have a question about your coffee? Would you like to customize your coffee order? Don’t know what to add or change to your coffee to make it more “you”? When did coffee become so complicated? Fibonacci Coffee presents Barista-for-Hire, an optional extra to make your coffee cart hiring experience a complete one. All our Baristas are trained to the highest standard, with a rounded education and a full understanding of the process the coffee goes through from the farm to your cup. Our professional baristas will help you choose the perfect cup to make your day. 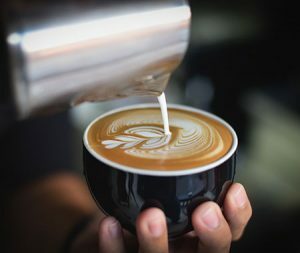 Our Barista for hire service is available in all major cities around Australia, including, Sydney, Melbourne, Adelaide, Brisbane, Perth, and even in Darwin. Catering to your every need are our Sydney baristas from our locations such as North Ryde, St Leonards, and Macquarie Park, among others. Our Barista for Hire service is available to serve in private functions, corporate events, promotions and anywhere else you can think of to bring great coffee. Our service, Barista for Hire Sydney clients have tried, has been such a success. Please feel free to view our Testimonials page for great feedback from our customers. Call us now at 1300-884-165 to book your next event with Fibonacci Coffee Cart with a Barista for Hire service.